From its humble beginnings in a small guitar shop in Manhattan, the Guild acoustic guitar company has had its shares of ups and downs. While it suffered considerably with the decline of acoustic guitar popularity during the 1970’s and 80’s after it was bought by Fender in 1995, its prospects started looking up again, and today it is known as a notable manufacturer of top acoustic guitars. Just a look at the Guild series of acoustic guitars and their attention to detail and craftsmanship is an eye-opener. While the Traditional series of guitars harkens back to models crafted in their pre-Fender days, time doesn’t stand still for Guild. And they are continually adding new lines and models to give the consumer the widest range of good acoustic guitars possible. While a Guild will fall into one of four series, each series offers guitars in a variety of body shapes as well; Small Body, Dreadnought, 12 String and Nylon/Classical, and the chances are good that you will be able to find many of these body shapes in each Guild series. Guild’s GAD Series stands for “Guild Acoustic Design.” This line was introduced in the early years of this last decade and is based (loosely) on the designs of Guild acoustic guitars that are already on the market. 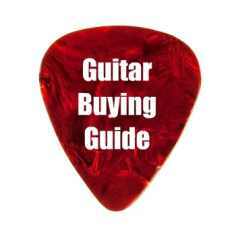 GAD models are less expensive than other Guild lines due to the fact that all of the GAD series are made in China. They come with poly finishes, which are more durable but not as breathable as nitrocellulose lacquer. GAD models do not have the depth of tone of the Traditional or GSR Series of guitars. While they are decidedly more affordable, they lack the flavor of the individually made models. 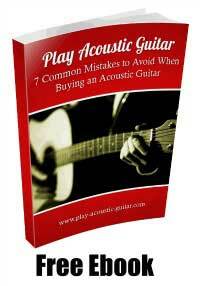 There are a good number more styles of cheap acoustic guitars available under the GAD Series than there are under the American made Traditional series, so there are lots to choose from. And their price makes them a popular option. Guild’s Traditional Series has a reputation for being high-quality instruments. Each Traditional Series is hand made in the US; specifically at their guitar shop in New Hartford, Connecticut. Each is crafted with either solid Red Spruce, Adirondack or Sitka spruce tops. The Traditional Series also uses bone nuts and saddles for better tone, and each is made in the styles of the Guild acoustic guitar models that came out in the pre-Fender era. They also have nitrocellulose finish, which allows the solid-top to breathe and age so that the guitar will sound better the longer you play it. While each of the Traditional models is made as a pure acoustic guitar, Guild also makes Acoustic-Electric versions of these models as well for those who prefer electronics. The Standard Series Guild Acoustic guitar is another line of US-made acoustic guitars. The Standard Series guitars are also made in Guild’s New Hartford guitar shop. And while they are based on the more expensive Traditional Series models, the Standard Series have fewer bells and whistles. This makes them less expensive than their Traditional Series counterparts. Each of the models in the Standard Series have red spruce bracing, but are made of lower-quality woods (including laminates) and do not have the extra trimmings that the Traditional Series has. While the tone of the Standard Series guitars is better than the GAD Series, again, their depth and volume is not as rich as that of the Traditional or GSR models. The GSR in the Guild GSR Series acoustic guitars stands for “Guild Special Run.” This particular series consists of limited edition guitars and each is a unique twist on the Traditional Series models. One of the differentials in GSR guitars is the woods that are used. From figured Cocobolo to figured Koa and master-grade Rosewood, each of the GSR guitars not only sound great, but looks spectacular as well thanks to unique designing and detail work that set them apart. On the downside, the GSR Series guitars are quite a bit more expensive than even the Traditional Series models, but they definitely make an audio and visual impact. 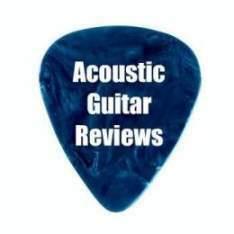 It is advisable to not just go by the ‘Guild’ name brand when purchasing a Guild acoustic guitar, but to also take into consideration which series of guitar the instrument in question belongs to. The specifics of each series (everything from finish to bracing to edging) can vary a good deal between the different series, and you need to be aware of the differences in order to make the best choice for you. Luckily there are a good number of models in all of the series to choose from. 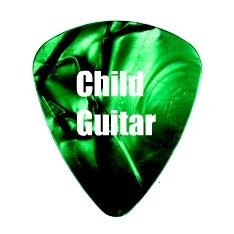 You will find that each series has a selection of guitar body shapes and sizes available so that you are certain to find a Guild that will fit your particular body shape and playing style. While Guild came close to going under back in the 80’s, it is definitely back in the saddle again. Under Fender’s management is has come back from the edge of obscurity and re-claimed its place as a manufacturer of good acoustic guitars, with each Guild acoustic guitar model having a flavor all its own. Guild Acoustic Guitar, formed in 1952 in Manhattan, New York, began its history as a high-quality acoustic guitar manufacturer. Currently owned by Fender, many of the Guild's guitars are hand-produced in New Hartford, CT. Guild also has several import guitars that are built in China.